Seniors can't wait to board the buses and head to an entire night of rides and fun. Seniors get to launch out for a final celebration of the graduating class. Grad Bash this year is being held on Friday, April 12th. Seniors must attend the full day of school in order to go and will board the buses to head out after 6th period. Hopefully a two hour bus ride, depending on traffic, and they are on their way to gates of Universal to ride rides, eat good food, and enjoy shows with their senior class. Universal closes the parks for all but the senior classes attending after 6pm. Students are given the whole park until 2am to enjoy themselves and indulge on the fun & thrills of the amusement park. Universal has an excellent selection of rides. From big drop roller coasters to simulators, they have got one of the biggest selections of creative rides out of the amusement parks in Orlando. Starting in the Universal Studios park we have all of the simulator rides. There is Twister, The Minions, Men in Black, Shrek, and the Simpsons. All of these rides are very unique as they are not massive drop rides but focused more on creating a story. In Twister, based off the movie Twister, you walk through a simulation and watch film clips from the movie and about tornados. Then you walk into a room which looked just like a scene in the movie and they have a real steam tornado and they shake the room and floor, spraying water as rain. Other rides are very similar to this such as the Minion ride where you walk through rooms and complete a quest like in the movie wearing 3D glasses. These rides are so unique as you don’t have to like roller coasters but you can still enjoy the experience. 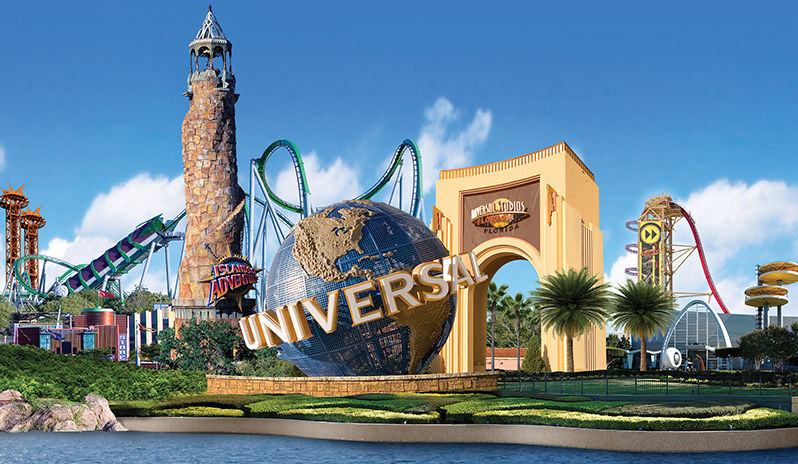 If you’re into thrills and drops, however, Universal has got all that for you. Rip Ride Rocket takes you up and back down and all around while jamming to a funky song of your choice. In Islands of Adventure, Universal’s attached park, they have the Hulk, which shoots you at super fast and flips you upside down and around. The quick jolts and fast loops give you adrenaline rushes unlike any other. Senior Daniel Cusimano says he is most excited for “this ride as it’s so fun and he is also pumped to walk around the Harry Potter world.” This park also has the roller coaster Dueling Dragons located in one of the Harry Potter sections where you chose a side and take the ride. Another fast coaster with lots of loops perfect for roller coaster junkies. Universal has a lot of thrills and fun activities to enjoy for all! Our seniors are gonna have a blast this year.